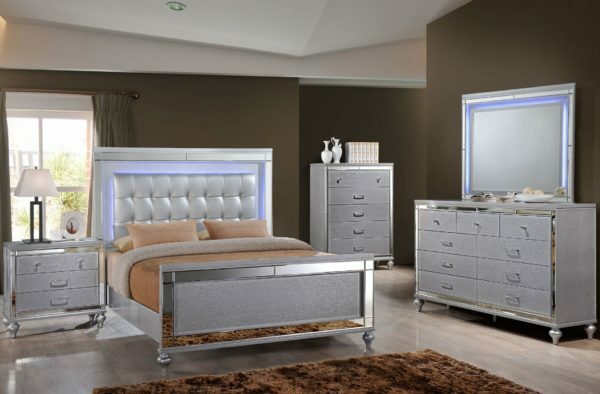 Bring a glamorous feel into your bedroom with the Valentino bedroom collection. 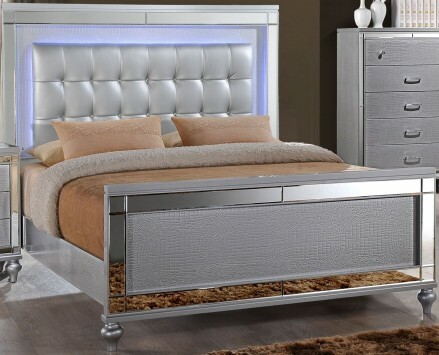 The silver embossed finish and mirror trim give each piece a glitzy look, while LED lighting in the upholstered headboard and dresser mirror of this collection offer a unique feature. 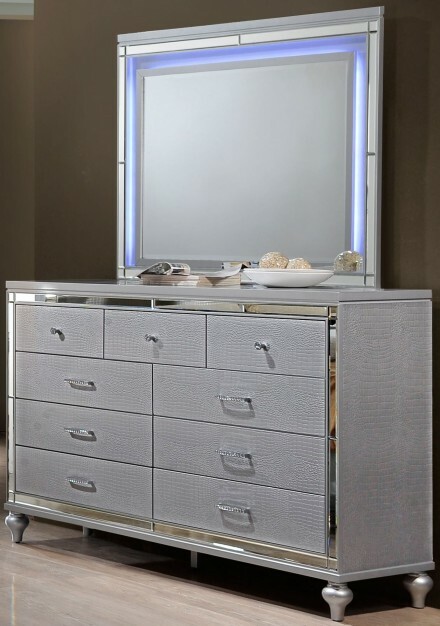 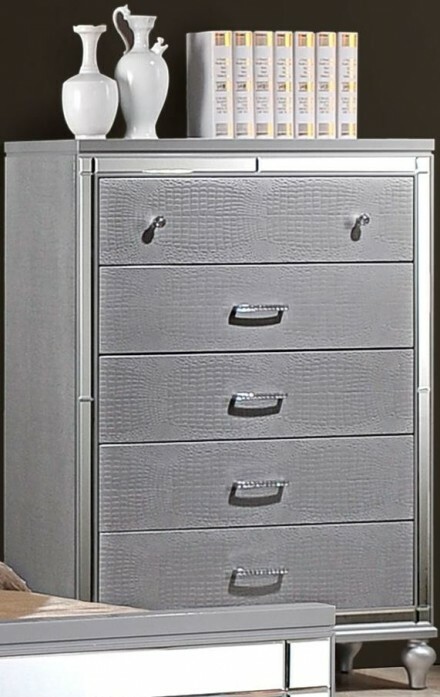 Turned feet raise each piece off the floor and hardware with crystal-like detail adorns the drawer fronts. 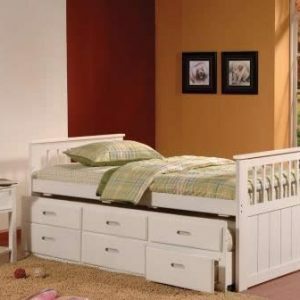 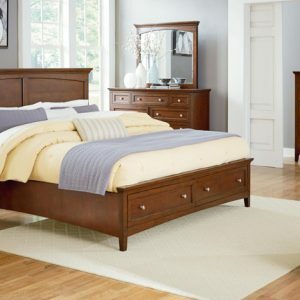 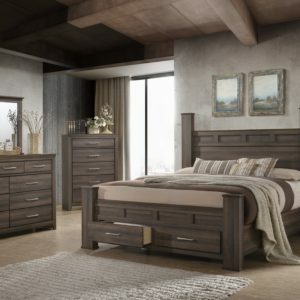 Find the perfect place for your clothing and other bedroom necessities with multiple bedroom storage options to choose from.